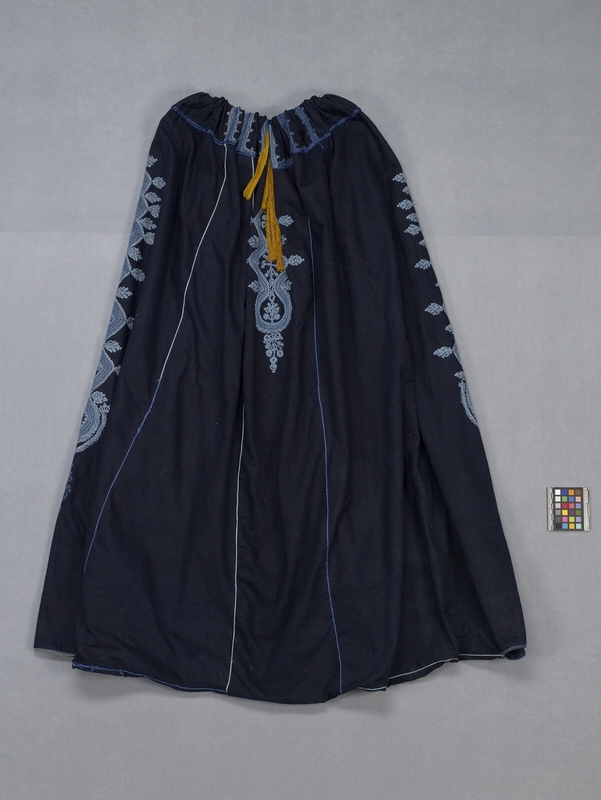 Item number 964/1 from the MOA: University of British Columbia. 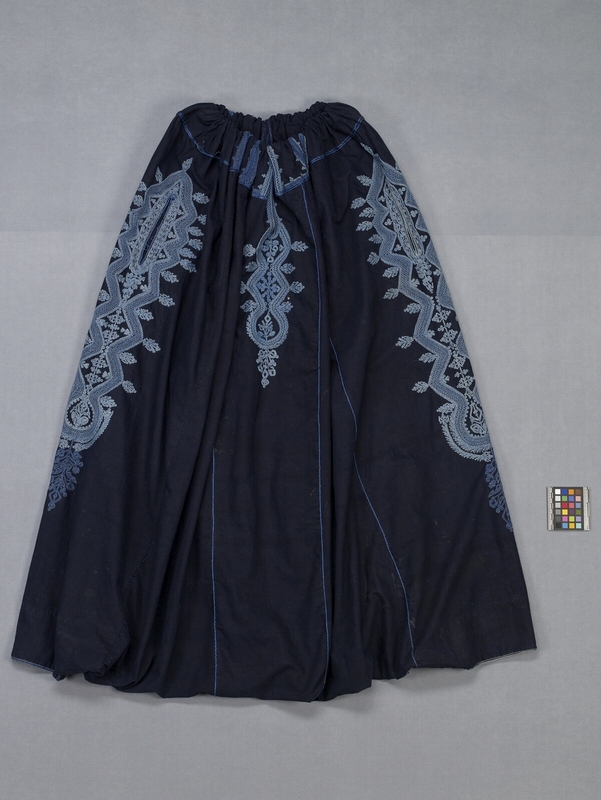 Dark blue pants with embroidery. The pants have a wide waistband with gold drawstring. The large gusset is even with pant leg openings, creating a skirt-like effect. There is light blue embroidery on the sides around the pocket slits and down the centre front in geometric and floral motifs. There are vertical blue lines. The inside is unlined.